May 21. 2013 | By Valerie C.
The highly anticipated Trouble Will Find Me, The National’s sixth full-length album drops today. It follows the same forward momentum as 2010’s highly praised and well received High Violet. Some might say that it almost feels like listening to the same album, a continuation of sorts. And they wouldn’t be wrong. 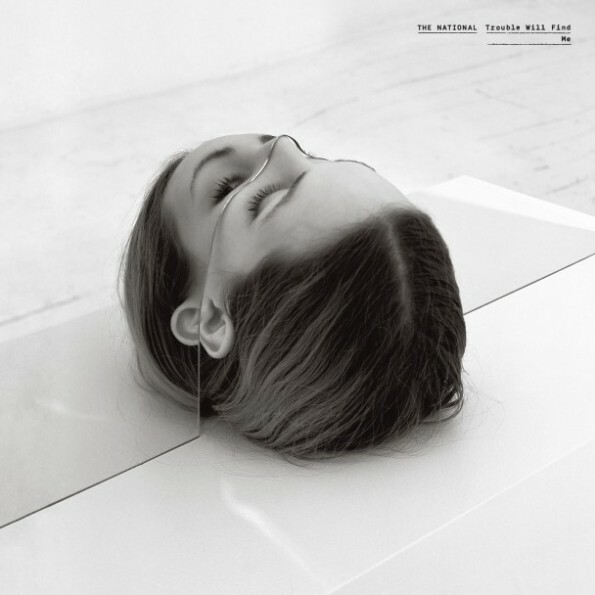 After almost fifteen years of making music it’s very easy to spot a song by The National, the pace and tempo of their percussion, Bryce Dessner’s guitar twangs, and of course, Matt Berninger’s beautiful baritone. Gone are the grit of past albums such as Alligator and Boxer. Instead we are left with something more polished. The sheen of which started immerging on High Violet. Each song on Trouble Will Find Me is like a vignette with central themes The National loves to explore: sorrow, strength, loneliness, regret, love, acceptance, hope; universal themes that most of us can relate to. Berninger and company aren’t trying to rock your world by being flashy (there are enough bands floating around in that shallow pool). Instead, they want to be a part of it. Quietly creeping into your subconscious as easily as breathing. Stand out tracks: “Don’t Swallow The Cap”, “Fireproof”, “This Is The Last Time”, “Graceless”, “I Need My Girl”.